Every Spring in Upstate New York, I anticipate the return of the Red-Winged Blackbird. Their songs are a sign that Spring is finally on its way. 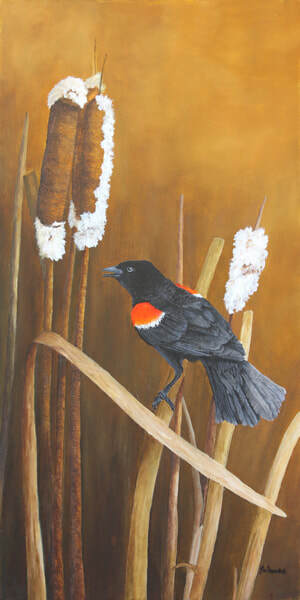 When painting the Red-winged Blackbird I was so looking forward for Spring as these birds are one of the first to return after the long winter.